What is a Touch Login Service? Touch Login is a fingerprint recognition feature available to access Standard Chartered’s Mobile Banking App without having to entering your User ID and password. Touch Login is available for iPhone or select Samsung devices (Android). Do I need to register for this Touch Login service? Yes. You need to register for this Touch Login service. If you don’t want to use this service, you can use the existing login by entering your User ID and password. 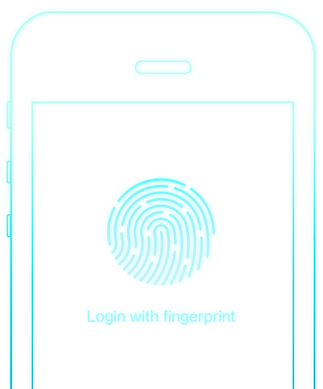 Step 1: Tap on the fingerprint icon in the mobile banking login screen. Step 2: Activate touch login service by logging in with your online banking username and password. Step 3: Set up complete! Log in now with a single touch. Can I login immediately after registration? Yes. You can immediately login using your fingerprint after successful registration. Is this feature available on the Android App? Is this feature available on the IOS App? Yes. On select Apple Devices with ISO version 9.0 and above. Yes. You can disable this service from the dropdown menu on the Standard Chartered Mobile Banking App. This menu is available before you login as well. What if I do not have supported devices/OS version for Touch Login? In such case, you can still download the application but Touch Login service will not be available and you can login by entering User ID & password. What if I have not setup fingerprint at all? If you click on the Touch Login icon, the application will prompt you to setup your fingerprint for that device. What if I have multiple fingerprints registered on my device? 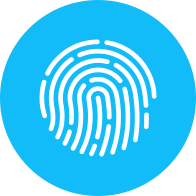 Standard Chartered Mobile App will accept all fingerprints stored on the device. Any of these stored fingerprints can be used to register for the Standard Chartered Mobile App. For more information please refer to the Touch Login Terms and conditions. Are my fingerprints stored in the Standard Chartered mobile banking app? No, the Standard Chartered mobile banking app only accesses fingerprints from the device and does not store them in the app. What will happen in case my device is lost? Your fingerprints data stored in your device is encrypted and will remain protected. The device doesn’t store any images of your fingerprints, it stores only a mathematical representation of your fingerprints which is impossible to replicate. As an additional security measure, in case your device is lost or stolen, we recommend that you contact the service provider to deactivate the SIM immediately and inform Standard Chartered immediately. What if I add or remove one or more fingerprint(s) on the device? Standard Chartered Mobile App will automatically disable the Touch Login feature. The next time you attempt to login using the Touch Login feature, the application will prompt you to re-register your fingerprint(s). What if another client logs in to my Touch Login enabled application by using their own User ID and password? Once another client logs in to Standard Chartered Mobile App on your device using their own User ID and password, the Standard Chartered Mobile App will automatically disable the Touch Login feature. The next time you attempt to login using the Touch Login feature, the application will prompt you to re-register your fingerprint(s). How many devices I can register for the Touch Login service? You can register the Touch Login service on a maximum of 5 devices. Which devices support touch login? Don’t have Standard Chartered Online Banking access? Register online now. Terms and Conditions apply. Please click click here for the full list of the Standard Chartered Touch Login service Terms and Conditions. * Supported devices for touch login service: Iphone 5S iOS 9.0 and above, Iphone 6 iOS 9.0 and above, Iphone 6s iOS 9.0 and above, Iphone 6 plus iOS 9.0 and above, Iphone 6s plus iOS 9.0 and above. IPad Air2 iOS 9.0 and above, Ipad mini3 iOS 9.0 and above, Ipad mini4 iOS 9.0 and above, Ipad pro iOS 9.0 and above. Samsung Note 5 os 5.X and above, Samsung Galaxy S6 Edge os 5.X and above, Samsung S7 os 5.X and above. Device not listed? Please bear with us, more coming soon.